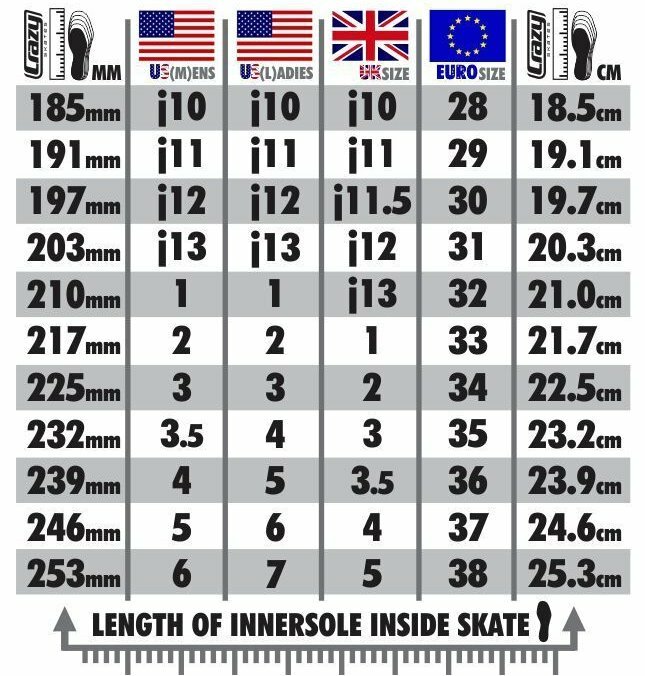 The 308 is the mid-range of the Crazy Adjustable Roller Blades. Very comfortable and Smooth to ride on they give value for money. They come in size J12 to 2 only.. They come as per the photos below in two distinct colours, Blue/silver for either boys or Girls.